Inspired by colour, geometric design and sunshine rays, Abode Aroma is for the lovers of life. 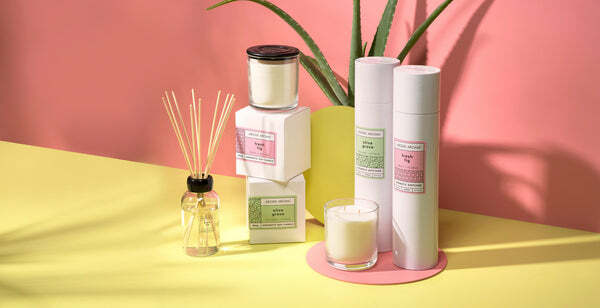 We create beautiful aromatic diffusers and soy wax candles, perfect to spoil yourself with, or when you need that special gift that you know will be adored. We produce our candles from soybean oil and hand pour for extra care. With 90% fragrance oil, our diffusers are premium quality and noticeably different. We source our perfumes and create each fragrance so they are able to live in unison. This means you can mix and match diffusers and candles, creating your own bespoke scent, entirely unique to you. Every element of our range is not only recyclable, but designed to live on in your home in a new form – be it a vase for blooms or stylish jar for make up brushes, bathroom essentials and more. For those who are lively, spirited and love the colour of life, Abode Aroma is for you. 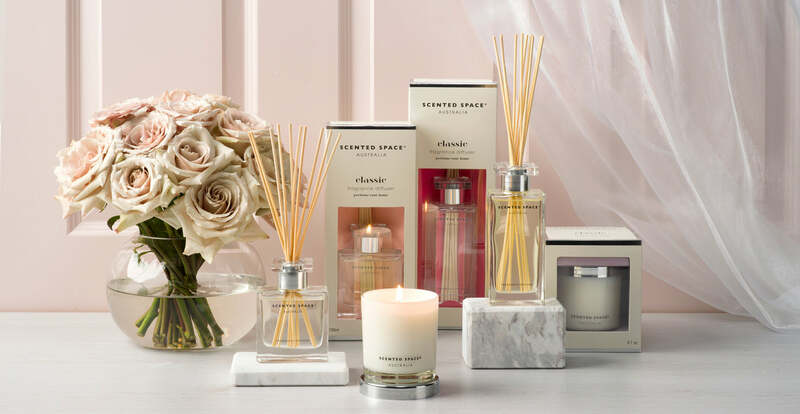 Scented Space is the epitome of home decor, exuding elegance, style and creating a beautiful ambiance, in the form of stunning diffusers and candles. Having a distinct scent for your home not only emanates sophistication, but for family members creates a welcoming familiarity, every time one enters the room. Distinguishing Scented Space, is our fragrances. We work with world renown international perfumers, who create our perfumes to our particularity. We then delicately blend the perfume into our formulation; composed of 90% fragrance oil and 10% ethanol, derived naturally from the cassava plant. We carefully package this unique scent into our custom designed glass bottles, to ensure they are deserving of a centre feature. 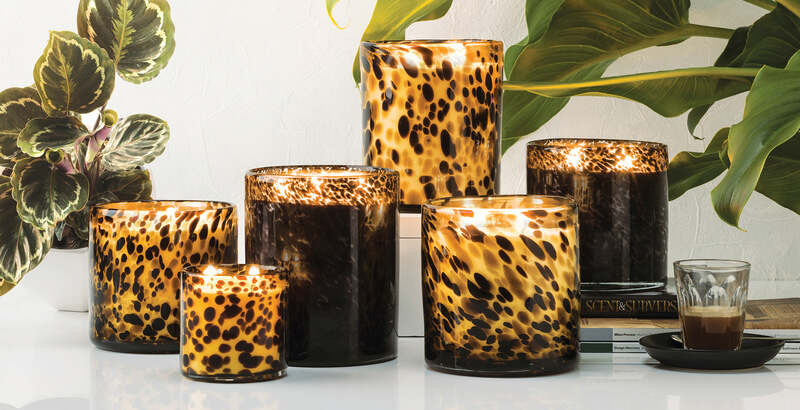 Our artfully crafted candles are made from a beautiful soy wax blend, ensuring you have the highest quality product, a cleaner flame and a longer lasting burn time. Just like the perfume you spray on your wrist in the morning, your home is not complete unless it has its own scent – by Scented Space. Apsley and Company is luxury in every sense. Artisan fragrances, inspired by the world’s most exotic locations. We partner with European perfumers, who to our precise brief, develop our fragrances using the same premium quality elements found in that of designer perfumes. Then, using the finest blend of botanical soy wax, we hand pour each candle, allowing the precious perfumes to be blended with meticulous care. The result; candle perfection. It’s debatable who the real luminary of Apsley and Company is though; the divinely scented soy candle, or the incredible mouthblown architectural art glass it’s contained within. Apsley and Company is designer indulgence for your home.